On June 23rd Dublin took place the 1st Irish Knockdown Open Tournament. 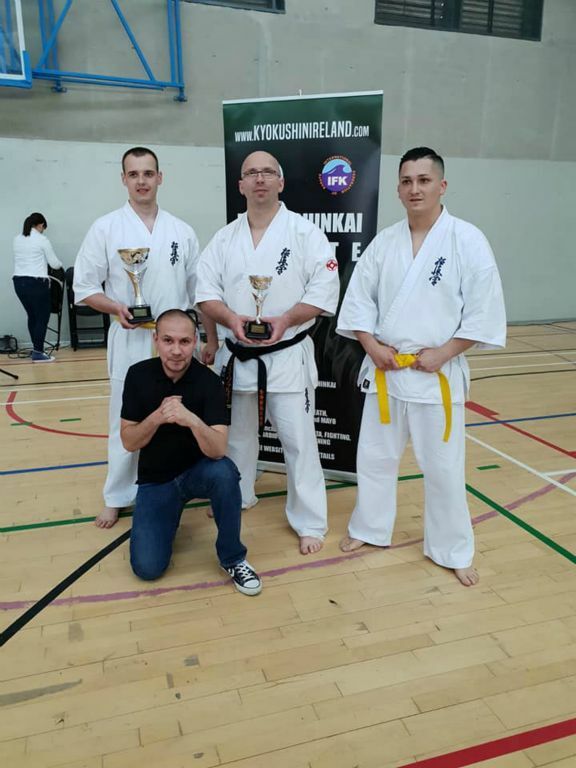 Sensei Maciej Solarski (KWF Irleland , Clonmel Dojo) - took the 3th place in Open Man Heavy Weight category, Sempai Vytautas Zemaitaitis ( Clonmel Dojo) took the 1st place in Novice Man Heavy Weight category . Very good fight of Sempai Lukasz Smykowski ( Clonmel Dojo). Well done Sempai Krisztian Fekete ( Dungarvan Dojo)- our team coach. 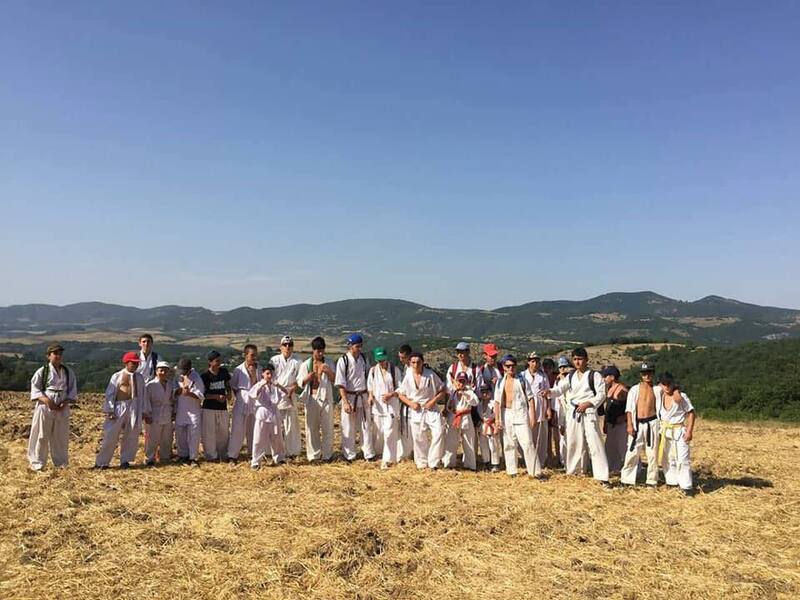 From July 25 to 29 in Balatonszemes, a summer camp of the Hungarian branch of KWF was held, headed by shihan Robert Kern 5th DAN. Over 50 people took part in this event. 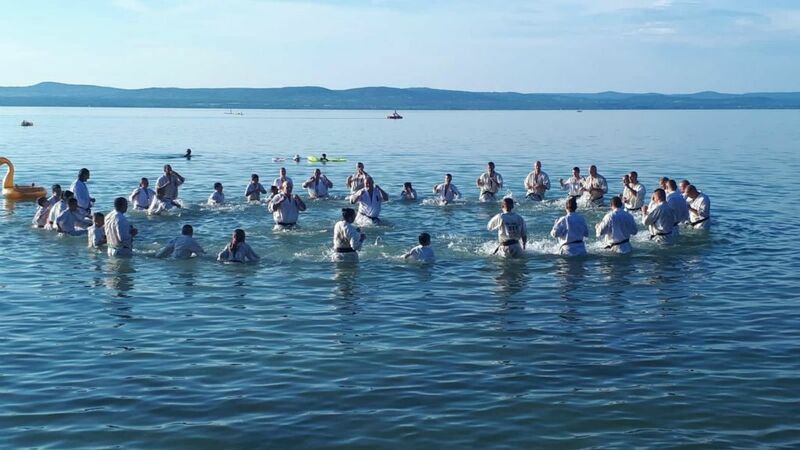 The main instructor was shihan Jan Vleesenbeek 7th DAN from the Netherlands, who conducted demanding trainings both in the open air, in the waters of Lake Balaton and co-hosted an exam for kyu and DAN degrees together with the organizer. One of the camp participants passed the shodan test. OSU! On August 23-24, 2018, the Iran KWF National Championship took place in Tehran, Motamedi Sport Complex, the main judge was shihan Ghasem Pour, 6th DAN. Over 550 competitors took part in the tournament! Osu! KWF Israel organized a 24-hour training marathon which took place on 10 and 11 August in Bat Yam near Tel Aviv. The event was led by sensei Vadim Matveev 3rd DAN KWF representative in Israel. 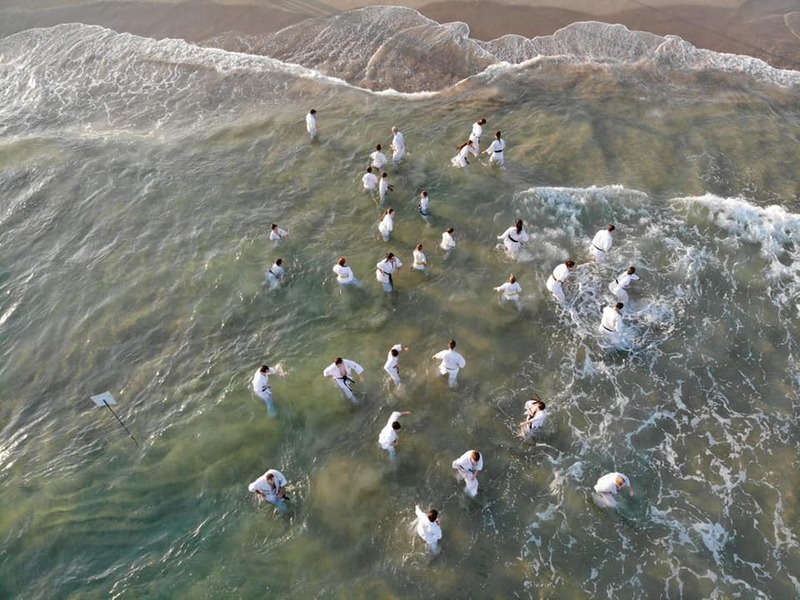 During the marathon, kata, kihon, kumite, running and demanding exercises on the beach and in the sea were practiced. Congratulations on your effort! OSU. The summer camp 2018 was held during two month led by the president of KWF Armenia Spartak Gasparyan. Summarizing summer camp 2018 of KWF ARMENIA we can say that the summer was hot and successful for the federation. Hard work always gives the desired result. Three different camps. ✅Summer camp Taxavard, a combination of practical and theoretical knowledge, new strength experiments. ✅Sevan SPARTA 2018 summer camp, which, during the 20 days of its existence, welcomed hundreds of participants by shifts, educated, taught them to be strong, vigorous, and correct oriented in different situations. For many participants the summer camp is the first, and for many, it is the guide for life. As a result, there are many great and promising expectations that we will see in the foreseeable future in the European, Armenian and the World championships. We are grateful to all those who were with us on the days of summer camp, all the coaches, who invested great energy. We wish all of us success in this year.